The results are in and GanedenBC30, Ganeden’s patented and shelf-stable probiotic strain, has been announced as the winner of the first annual IFT FoodTech Summit Innovation Award. The award was developed by the Institute of Food Technologists (IFT) and Encumex to acknowledge innovation in the food science industry. IFT, in partnership with the Food Technology Summit & Expo, held an award ceremony on 27 September during the show in Mexico City to announce the winner and honourable mentions. A panel of six highly qualified judges with a variety of backgrounds reviewed almost 40 entries that were submitted for the inaugural year, looking for the best examples of commercial innovation in the science of food. According to IFT, entries were judged based on degree of innovation, technological advancement, and benefits to both food manufacturers and consumers. The panel unanimously selected GanedenBC30 (Bacillus coagulans GBI-30, 6086), celebrating it as a breakthrough ingredient that answers the growing consumer demand for food and beverage products with enhanced health benefits and natural ingredients. “On behalf of IFT, I’d like to congratulate Ganeden on winning the inaugural IFT FoodTech Summit Innovation Award,” said IFT CEO Christie Tarantino-Dean, FASAE, CAE. 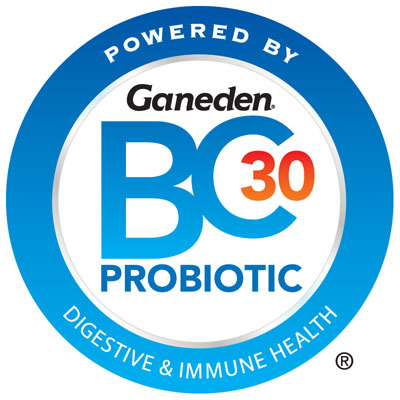 “We received an overwhelming number of entries, and our distinguished panel of six jurors from academia and industry determined GanedenBC30 was the clear winner, and that the product represents a major advancement in probiotic fortification." GanedenBC30 is the leading shelf-stable probiotic strain around the world, and has been formulated into more than 750 foods, beverages and companion animal products globally. It is best known for its spore-forming characteristics that allow it to remain stable enough for use in almost any food or beverage application, including processes where probiotics were unable to survive previously. The science-backed strain has opened up endless opportunities for probiotic fortification — moving the probiotic industry forward and allowing consumers to receive probiotic benefits in products that fit their daily routine and dietary preferences. “Innovation is the driving factor behind all of the ingredients in our portfolio, and we are honoured that the judges appreciated the major advancements that Ganeden has made in probiotic product development, regulatory work and science,” said Michael Bush, President and CEO of Ganeden.